Easyjet's new chief executive Johan Lundgren has replaced the airline's chief commercial officer role, its top marketing spot, with a chief data officer post. Duffy, who was responsible for the airline's revenue generation as well as marketing, digital, data, brand and customer, "agreed with Johan that now was the right time to leave easyJet," the airline said in a statement. Lundgren, who replaced Carolyn McCall at the end of last year, made the decision so the airline would focus more on collecting and using customer data. The teams who had reported to Duffy will be managed by Lundgren for now as he works with them "to develop the best structure for these areas of the business". The new chief data officer role will report directly to Lundgren and will give greater focus and weight to the airline’s use of this data to improve the customer proposition, drive revenue, reduce cost and improve operational reliability, the airline said in a statement. Also under this restructure, accountability for pricing, revenue management and ancillary revenue will move from the commercial department to Robert Carey, the airline’s Strategy and Network Director. This is aimed at providing better alignment and transparency on all of the key decisions easyJet makes on where it flies, what it charges and what other products and services the airline offers its customers. 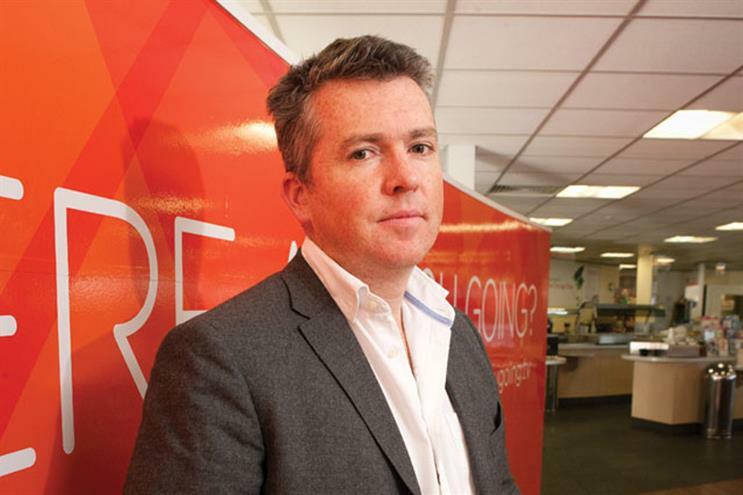 Duffy first joined easyJet nearly eight years ago from Audi as marketing director. In 2016, he was promoted to chief commercial officer giving him sole oversight over revenue generation. This is easyJet's second marketing team shake-up in a little over a year. At the start of 2017, the airline moved two of its marketing heads into new roles with the goal of structuring its business around customer experience and digital innovation. Separately, Paul Moore, easyJet’s communications director, has resigned from easyJet to join ITV as their communications director. The recruitment process for his successor has already started and Moore will stay with easyJet until that process has been completed. "I would like to thank Peter and Paul for everything that they have done and achieved at easyJet in the last seven years," Lundgren said. "Both were key members of the management team that transformed easyJet’s performance and both led the repositioning of easyJet’s customer proposition and the reinvigoration of easyJet’s brand. Everyone at easyJet wishes them well in the future." Update: this article has been rewritten to include a statement sent in by easyJet.